Hyde - Octagon - House 17739c is a photograph by Guy Whiteley which was uploaded on January 20th, 2013. In 1848, Orson Squire Fowler, a native of the Genesee Country village of Cohocton, published A Home for All, or a New, Cheap, Convenient, and Superior Mode of Building in which he announced that the octagon house, with its eight sides, enclosed more space than a square one with equal wall space. 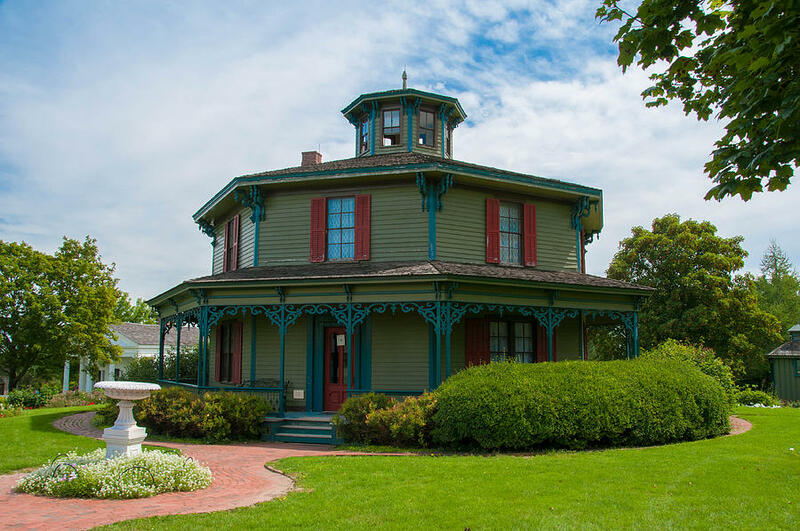 The octagonal form had been used in public buildings in the past, but now as a concept for domestic architecture, it had a dedicated and convincing champion. 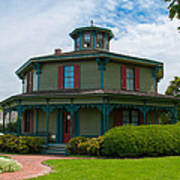 Fowler's books, stressing the functional and stylistic advantages of the octagon house, found many readers and several hundred followers who sprinkled the landscape from New England to Wisconsin with eight-sided houses, barns, churches, schoolhouses, carriage houses, garden houses, smokehouses and privies. 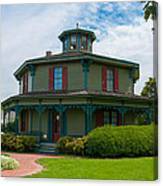 There are no comments for Hyde - Octagon - House 17739c. Click here to post the first comment.